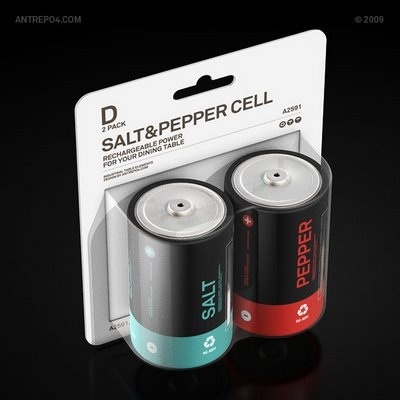 Created by Antrepo Design Industry as “Salt&Pepper Cell” and it is like a D size battery also the dimensions too. 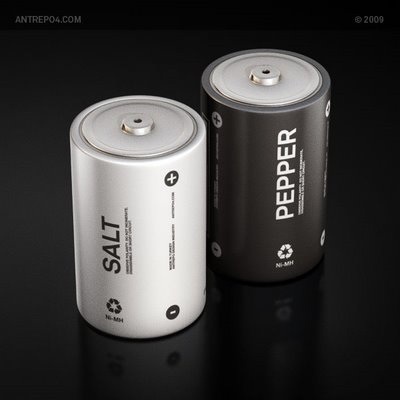 Material used is stainless steel and glass, the power indicators on the sides correlate to the amount of spices left in the shakers, before refill time. 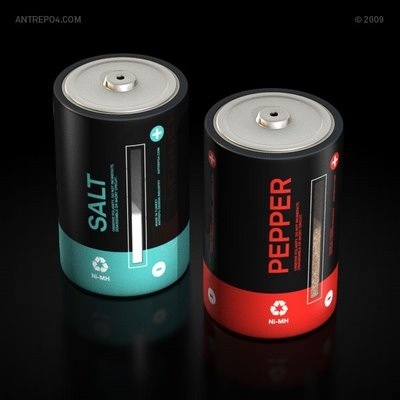 The color options are Red&Turquoise or Black&white. He is now in a research process to find a partner company for the production process.